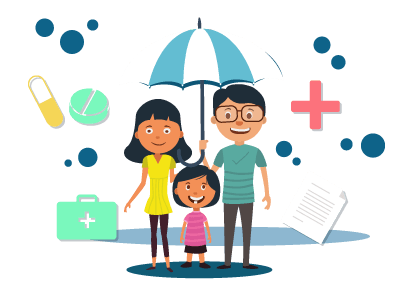 Instead of worrying about the finances of one’s family following death or an eventuality leading to disability, etc., those residing in Ahmedabad can avail a life insurance policy to take care of that very aspect. In the case of untimely death of the policyholder or breadwinner of the family, the life insurance policy will kick in to financially stabilize the loved ones of the policyholder. One can choose whether they would want to receive their life insurance payout in lump sum or in the form of annuities. Customers residing in Ahmedabad can also avail a life insurance policy to build a retirement corpus, as a pension plan, or make investments that will ensure a formidable return or to specifically offer financial protection to one’s child. Ahmedabad customers looking to avail an insurance policy can choose any of the listed insurers offering a myriad of products in the city. When it comes to buying a life insurance policy, Ahmedabad policy applicants have the option of going for either a public sector life insurance company or a private sector life insurance company. Some of the top companies as listed in the table below.